So, we all love Swarovski right? I mean, how could you not? If you are a bride who wants a little bling on your wedding day, you'll be excited to hear that the Swarovski Elements Wedding Directory is now your go to spot to find a lot of bridal designers who use their coveted crystals. This directory is filled to the gills with pretty, seriously, trying to pick which pieces to showcase here was so hard. 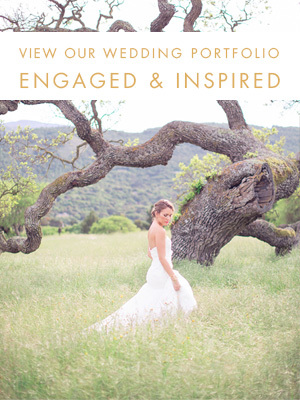 Just a take a look at some of these designs, of course, go poke around the Wedding Directory for yourself. Want a chance to win something sparkly? Head over to the Swarovski Elements Facebook page, pick what you like, and pin it with hashtag #somethingsparkling ! Today is the last day to enter, so go fast! While Erik was home on military leave this summer, we went shopping and bought his wedding band, a simple matte tungsten band. Seeing a ring on his finger somehow made things start to feel really real, can't wait for it to be there permanently! Now that we have his, I spent some time thinking about what I really want. My ring, in the image above, is a custom designed band with small floral accents around a rose cut center stone, creating the look of a wide band. I absolutely love it on its own, and because it was custom made for us, it doesn't come as a set with a wedding band. Because I love it so much on its own, I don't really want something that nestles in perfectly to make it even wider, I feel like it would really change the whole look of the ring. For awhile I thought I didn't want another band at all. My mom never had a separate engagement ring and band, and I didn't want something that would make me like my ring less. But, we do travel quite a bit internationally, and I wanted something I could wear in case I was nervous travelling with an obvious diamond on my finger. We also do a lot of gardening and house renovation, so again wanted something to wear in lieu of my engagement ring for weekends spent mostly at home depot. And then there's the symbolic aspect of having a band to bless on the day of our wedding. The engagement ring has so much symbolism, but I wanted another little something to have to remind me of the actual wedding day, even if I don't wear it 100% of the time. One thing I especially like about this choice is that there is a matching band with diamonds that we can get down the road as an anniversary band. It would be a great wedding band option if you wanted something a little blingier. I've already started dropping hints for our 5 year anniversary. Recently I met with the seamstress who will be doing some alterations to the gown I found at a charity sample sale earlier in the spring. This makes the whole thing feel real and has spurred me into figuring out the rest of my look. One of the images inspiring me was this fresh bride with smoky eyes, bright lip, simple curls, and a retro-inspired birdcage look. Tulle blusher from Tessa Kim. I love that this has the same general shape as a birdcage, but falls a little lower and generally softer. Plus, the simple tulle has a cleaner look than the vintage netting. The Tessa Kim option comes in varying lengths (my favorite is the 18") and varying colors. Polka Dot blusher. I mean, Polka Dots. Originally I really wanted an Ivy + Aster gown in a swiss dot (unfortunately the bust line wasn't quite right for my girls), so I thought this might be a way to channel that sense of whimsey. Short Tulle Birdcage. I really loved the double-layer of this for a more modern line. Doesn't get more simple than this. Circle Drop veil. I've been really loving the clean lines of drop veils lately since they avoid that ruched look at the comb. This veil is so simple its literally just a tulle circle cut to lay over your hair and face. Ultimately, i think the length is a little too traditional, plus I was worried about the logistics of uncovering my face during the ceremony with this one. Ultimately I ended up stumbling upon an amazing Tessa Kim pop up sale and chose hers because it fit the original birdcage blusher shape, had a soft simplicity, and I got an amazing deal. Actually, if I'm being honest, I actually bought a shorter one too that I might add some sparkle to and wear for my bachelorette and/or the rehearsal. Now, off to finalize hair and find a hairpiece for the reception (I might DIY that, we'll see!). For more ideas on what I'm considering for my bridal look, visit my Bridal Attire pinterest board. Well, I've found a dress! And in an unlikely place (I think) - at a Charity Sample Gown Sale. I don't remember exactly where I first heard about this particular sale, Brides Against Breast Cancer, but I remember thinking how fun it would be to make an event out of it even if I didn't find a dress. I reached out to a group of my friends, and my mom, and it turned out a bunch of us could all make the 3 hour trek down to Portland the weekend of the sale, so we decided to make a little trip out of it. - Go shopping ahead of time. This was so so important because it let me figure out not only what styles I liked, but also what looked good on me. As many brides experience, the style that you see pinned and LOVE may not be the best for your body type. Shopping at a couple salons gave me the chance to get some of my "dream dresses" out of my system and to realize that something else may be perfect fo rme. - Make a cheat sheet. If you have friends and/or family shopping with you, create a cheat sheet of styles, fabrics, colors, etc to help them know which options to pull for you. This gave everyone a great start to know what I was looking for, even though I ended up trying on many many dresses and not every one stuck exactly to my guide. But, it also helped eliminate some dresses I knew weren't me at all. - Go back one last time. I was about to throw in the towel on my search at the sale when we all decided to walk through the racks one more time. And I'm so glad I did, because after having seen a few good contenders, one caught my eye that I hadn't seen before. I don't know if another girl had been trying it on and it had just been put back on the rack, but it was just different enough to be perfect for me. I'm so glad I made that last lap. I can't wait to share more about my wedding day look, but for now I'll share some of my favorite inspiration gowns from my Bridal Attire pinboard. They all have a romantic silhouette, sweetheart necklines, off-white color options, and architectural detailing that I love. You can always read more about my wedding journey at my personal blog, The Ravenna Girls. A month ago I had the privilege of doing a photoshoot at my favorite spot, Holman Ranch. In the coming months I'll be sharing all 4 (YES FOUR) shoots from that day, but here is a little glimpse of what we put together for the day. So many talented people helped me put together tons of wonderful details for this shoot. This Love of Yours Photography did such a wonderful job capturing these details and this gorgeous couple!